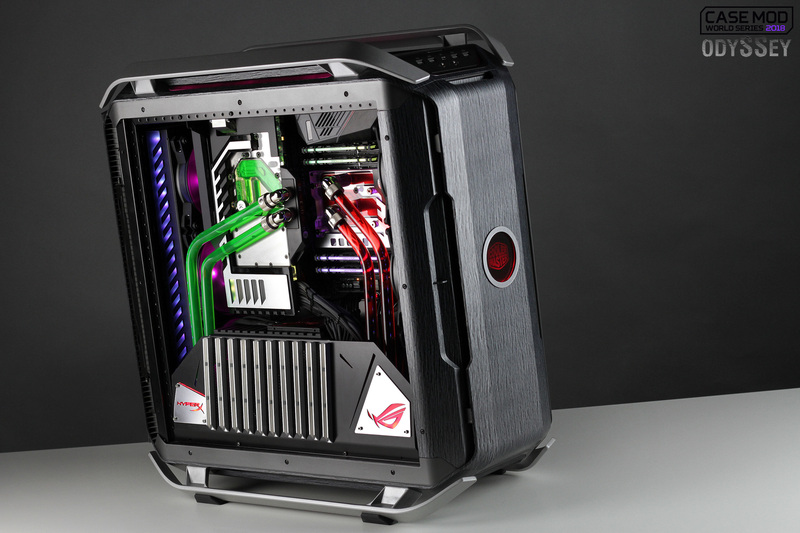 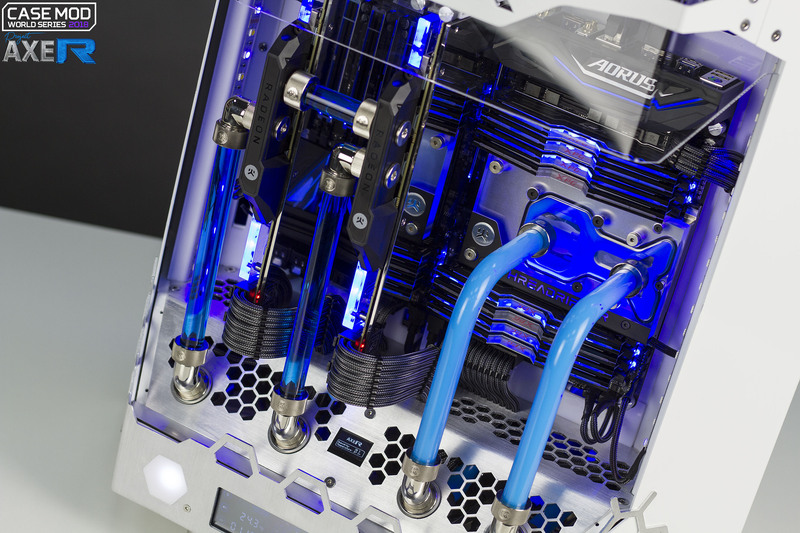 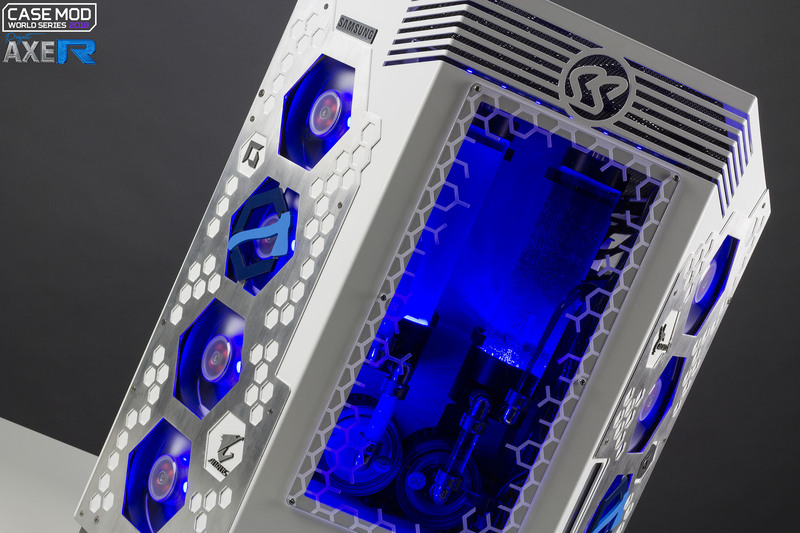 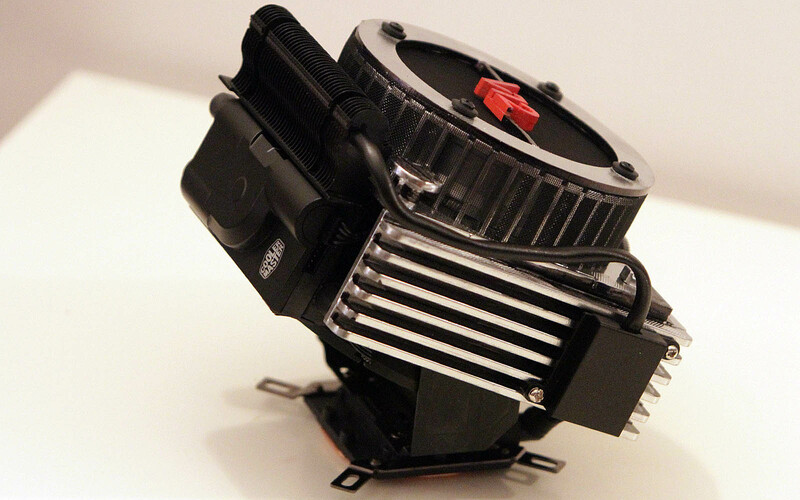 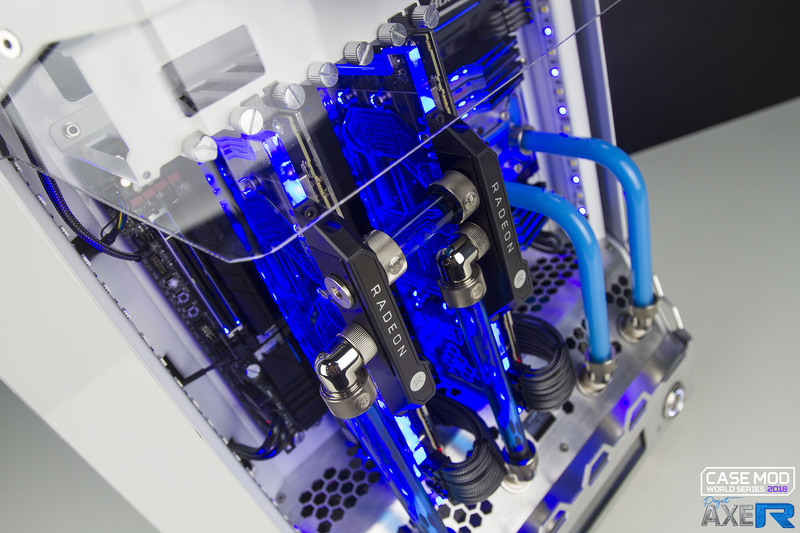 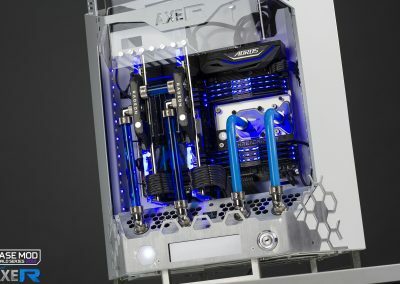 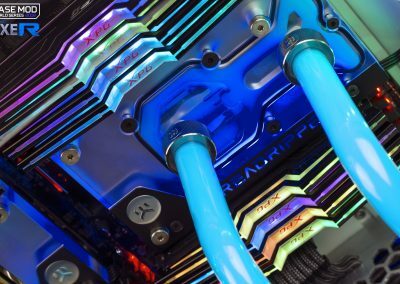 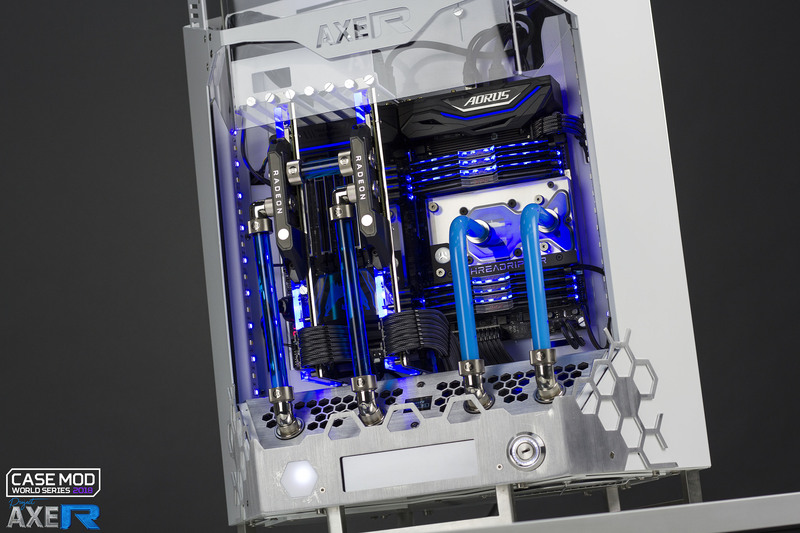 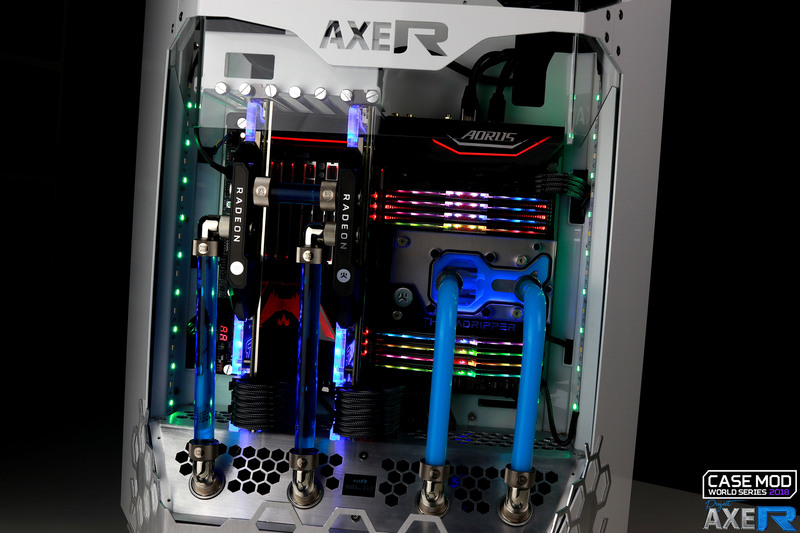 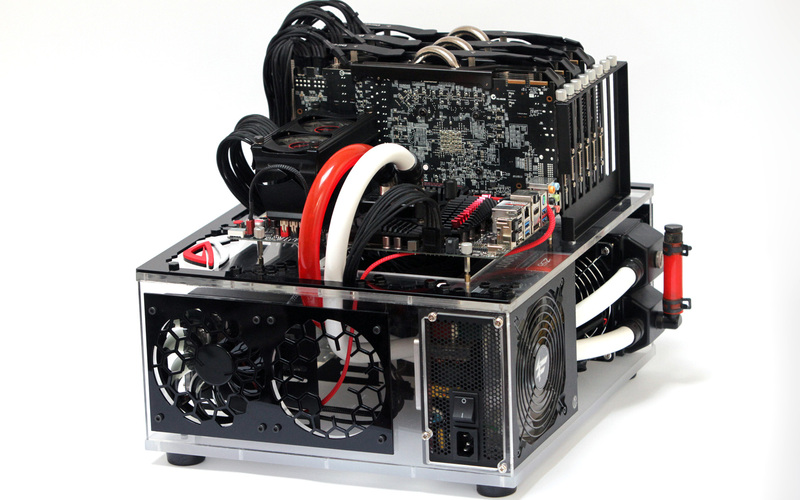 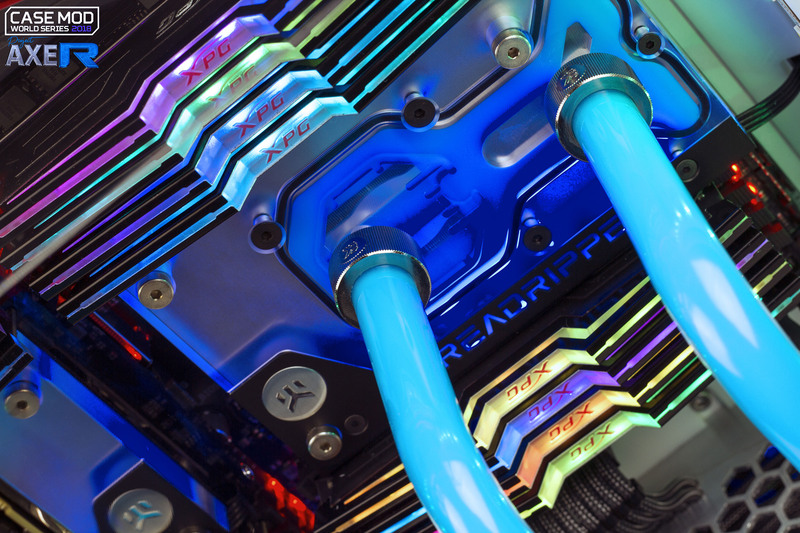 AXE-R is divided into two sections – the cooling section and the hardware section. 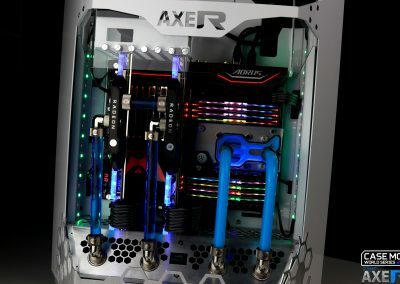 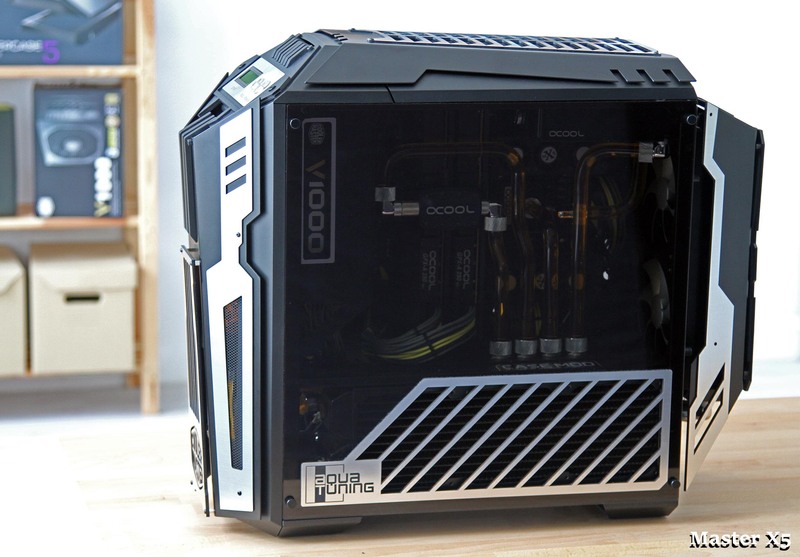 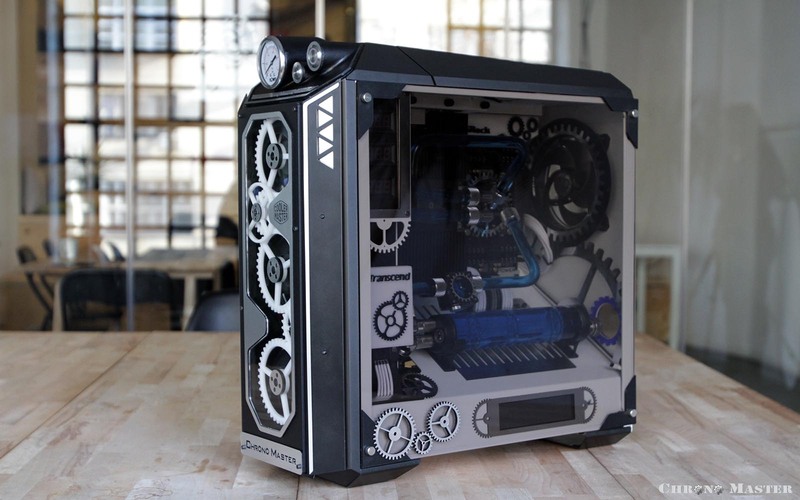 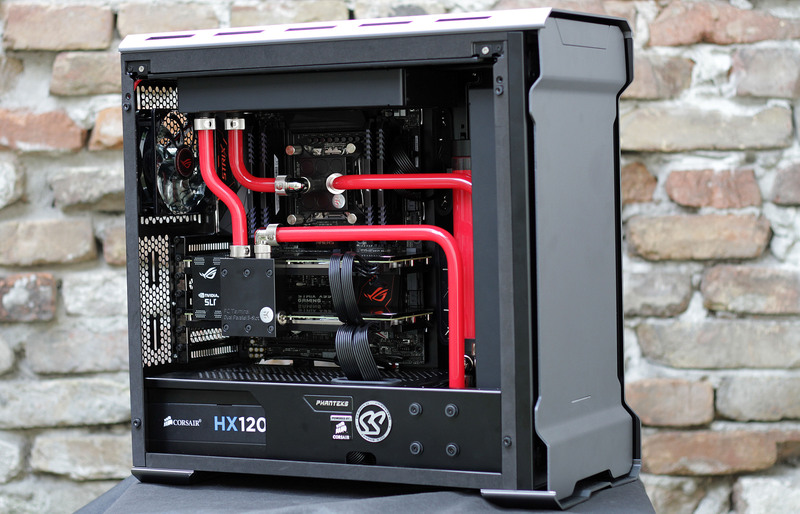 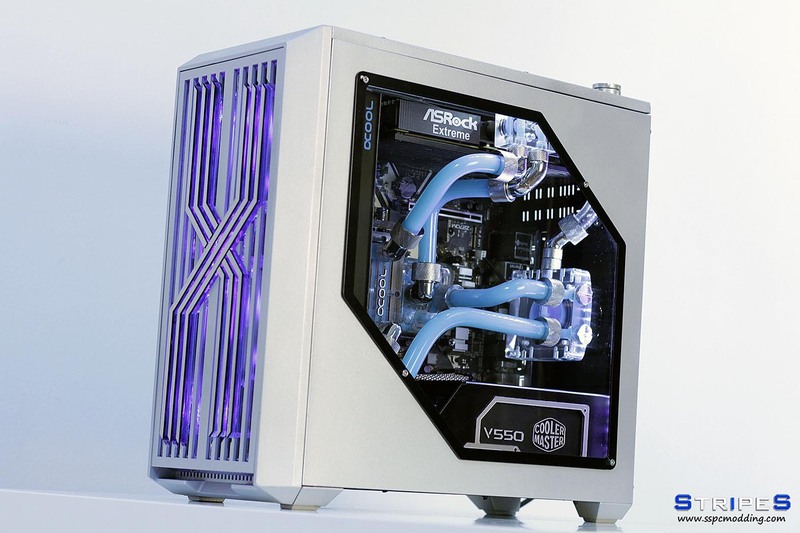 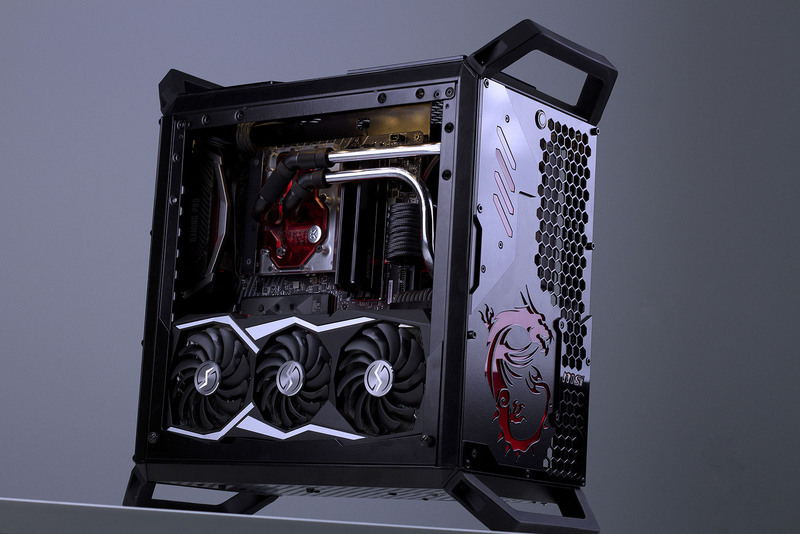 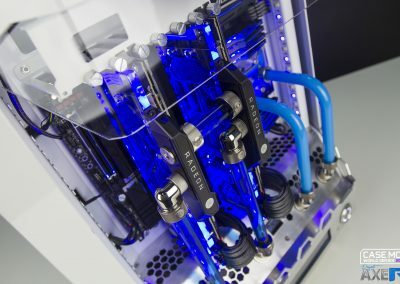 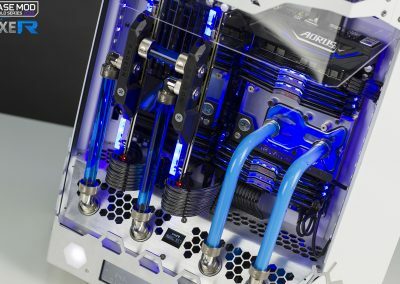 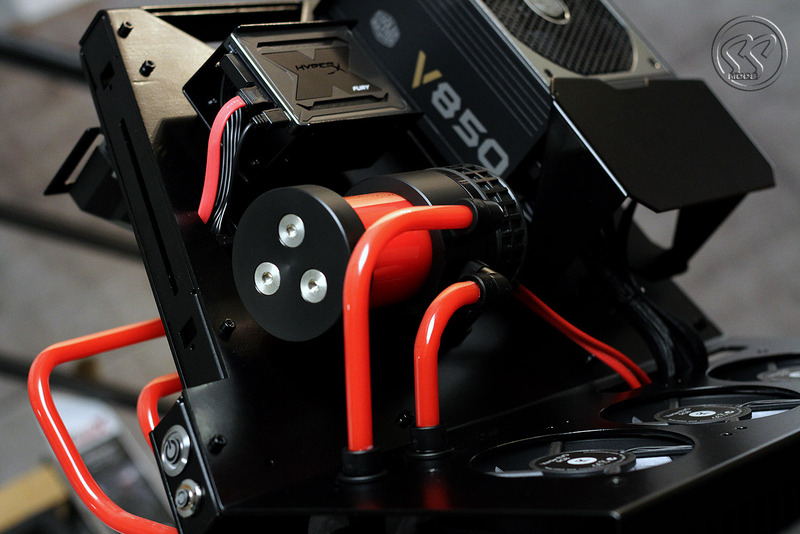 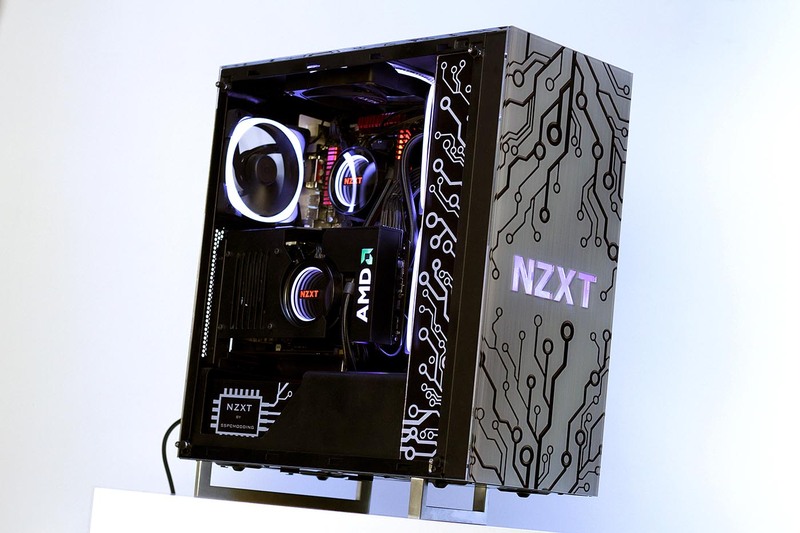 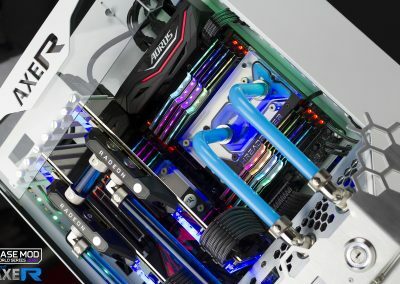 The cooling section is divided in two loops, one for CPU and another for GPU, which greatly enhances the performance efficiency of the components. 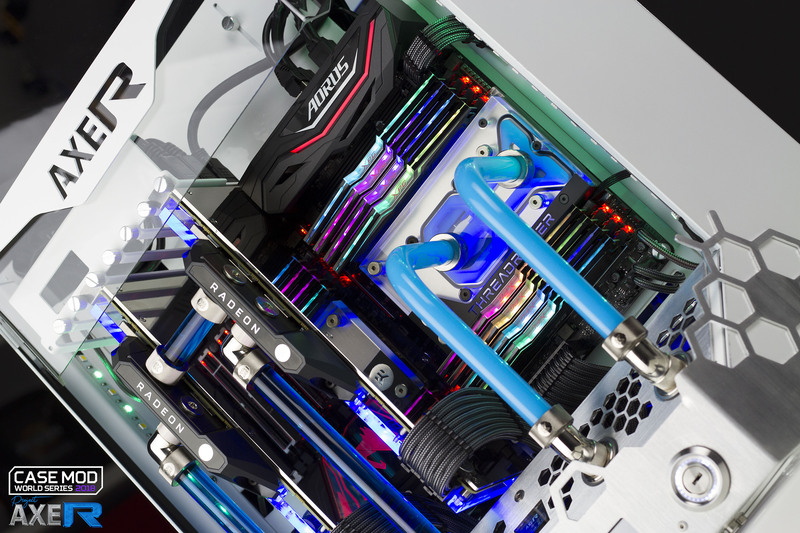 It’s premium outlook is achieved through hand-brushed aluminium, nickel fittings, and waterblocks. 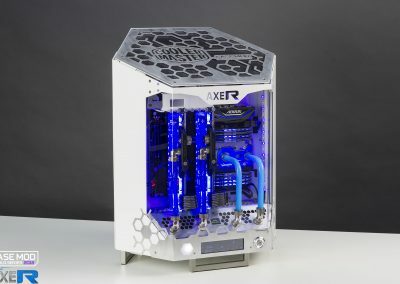 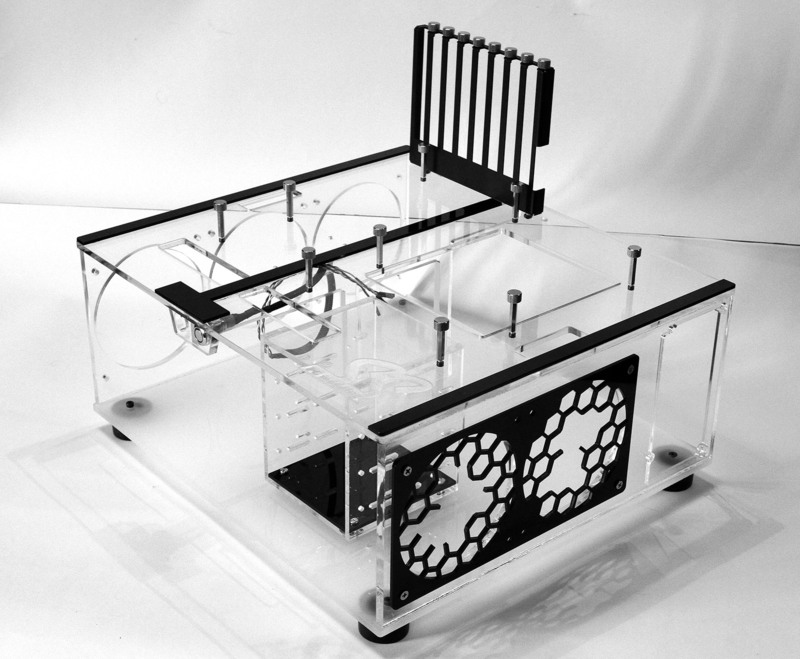 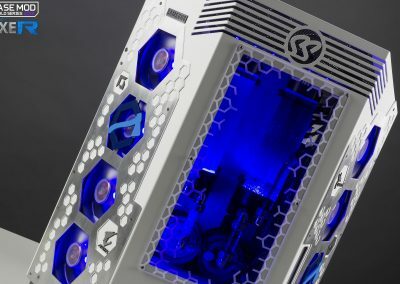 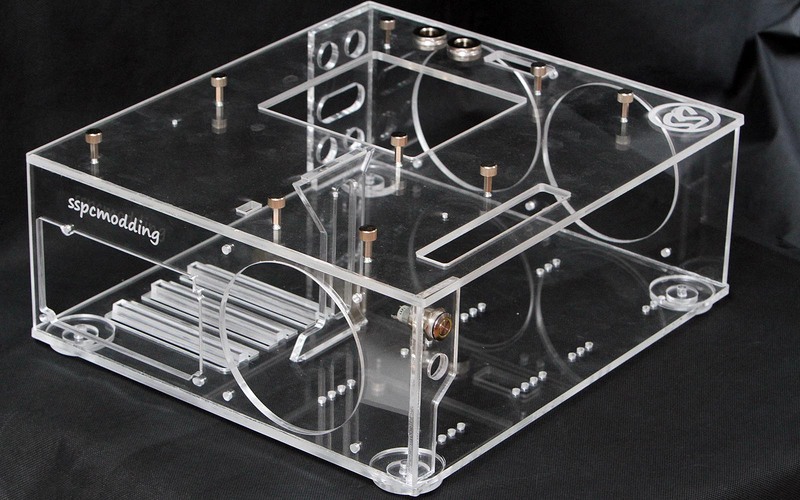 The AXE-R case has a built-in Arduino unit that measures the humidity and temperature, during which it’s programmed to open the lid and circulate air throughout the chassis, should the overheating of the components occur. 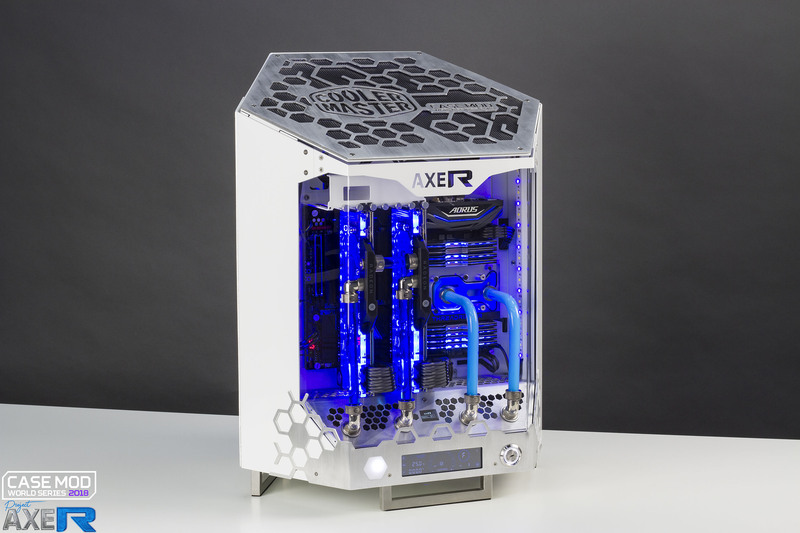 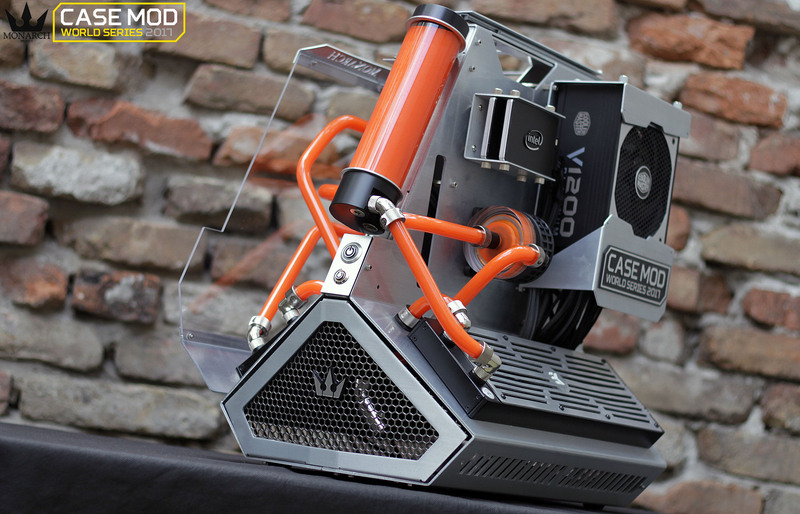 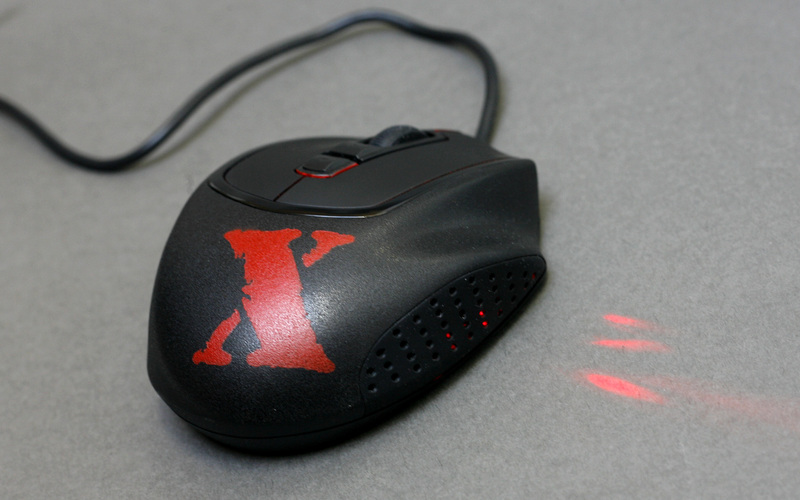 Therefore, the AXE-R is a powerful yet smart tech case.